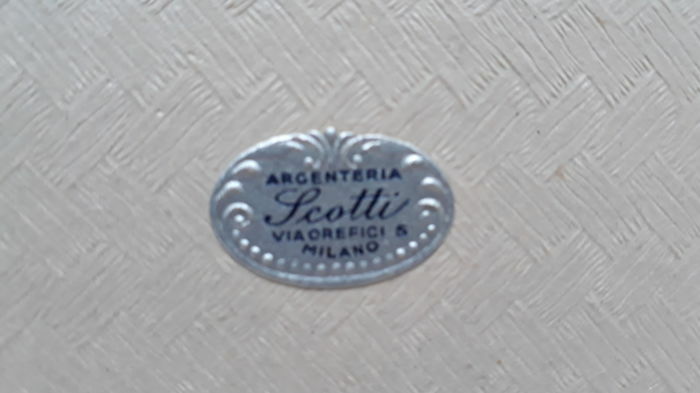 Italian company “F.lli Zaramella Bruno e Cesare”, active in Padua since 1948. 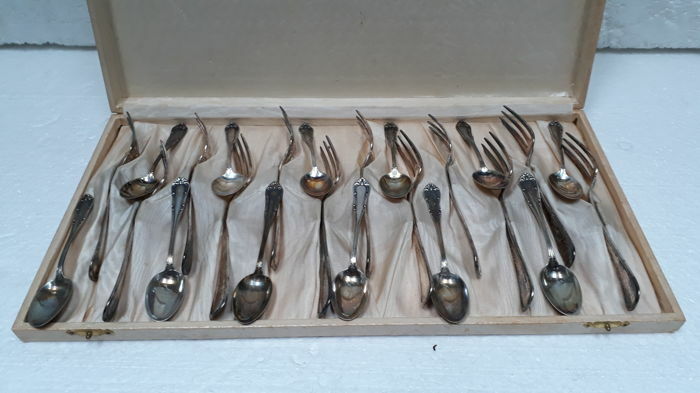 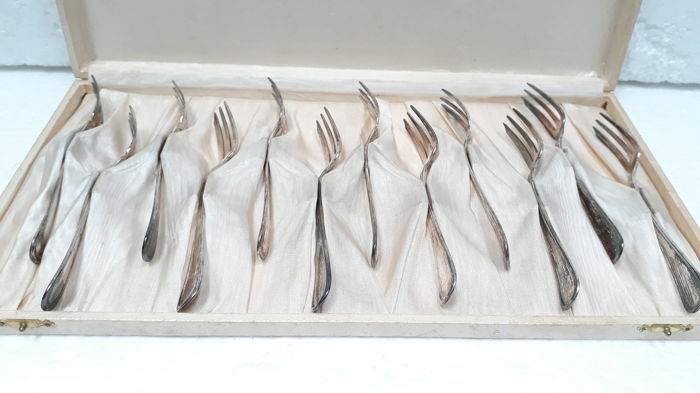 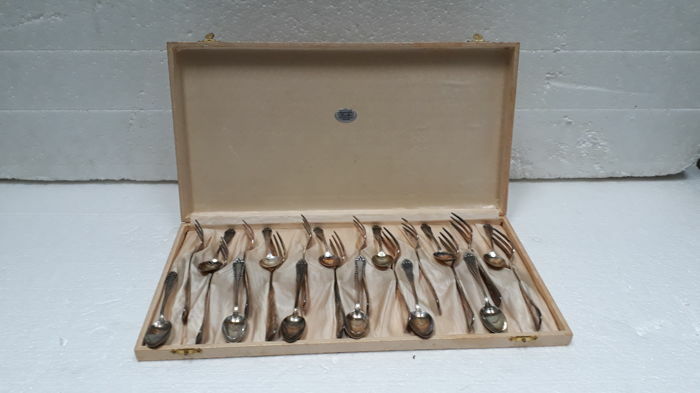 Vintage cutlery set made up of 12 dessert forks + 12 coffee spoons in silver 800. 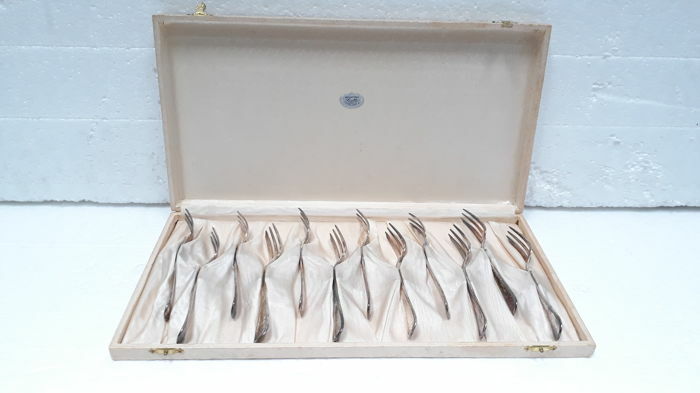 The set comes in its original case. 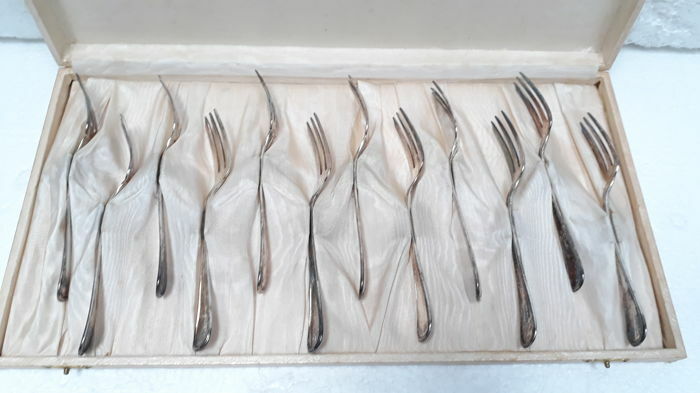 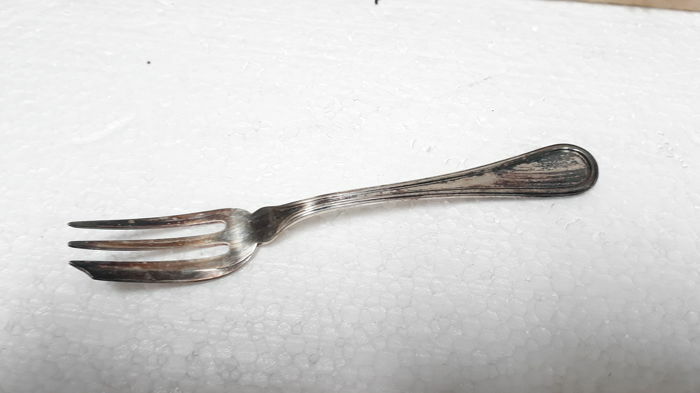 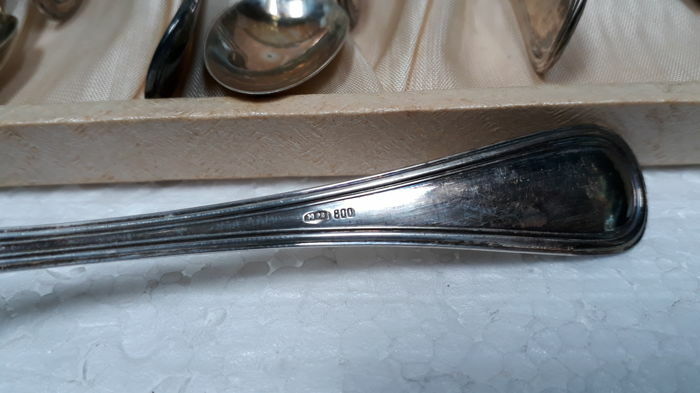 Forks: hallmarked 800 and 30PD. 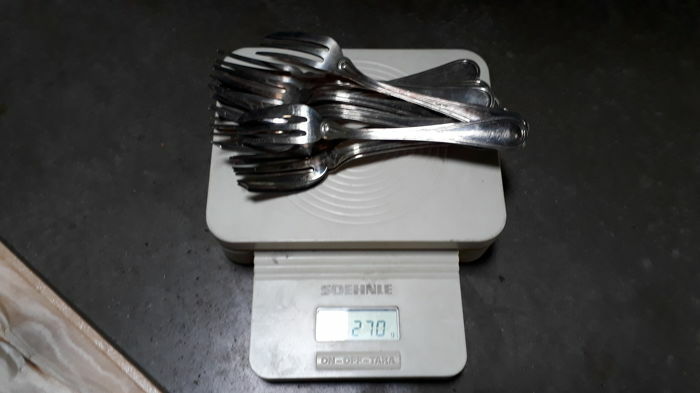 Weight: 270 grams. 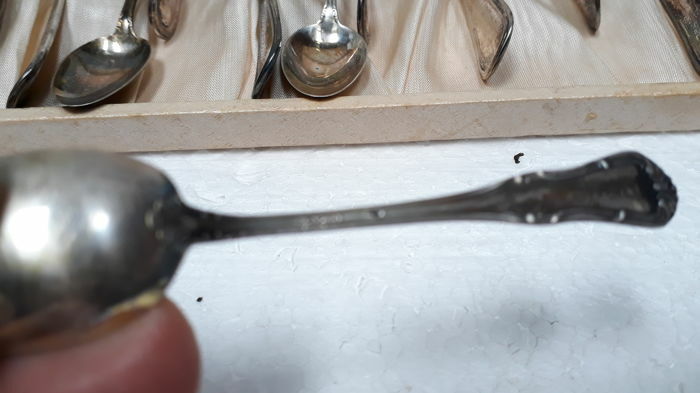 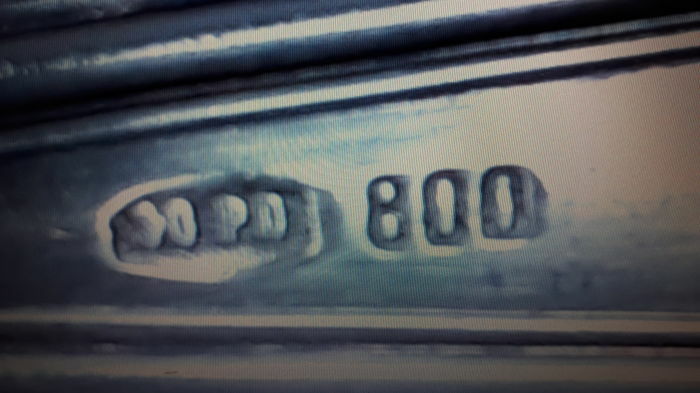 Spoons: hallmarked 800 and 30PD. 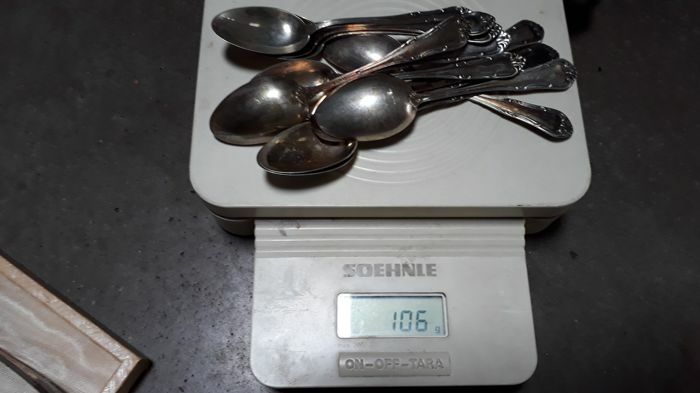 Weight: 109 grams. 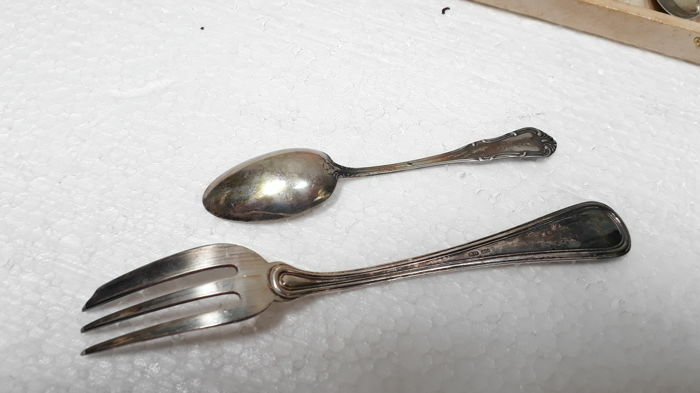 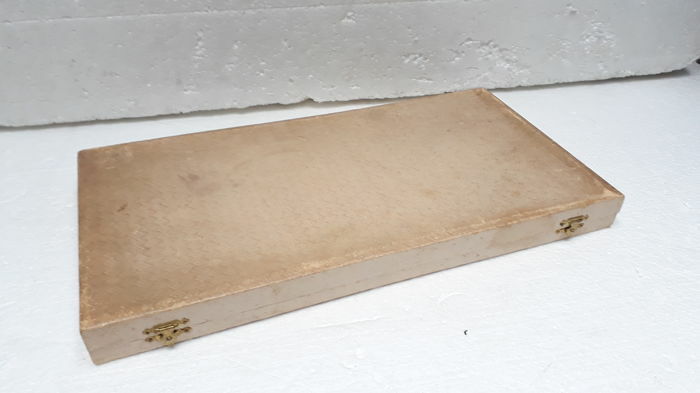 In excellent condition, as shown by pictures. 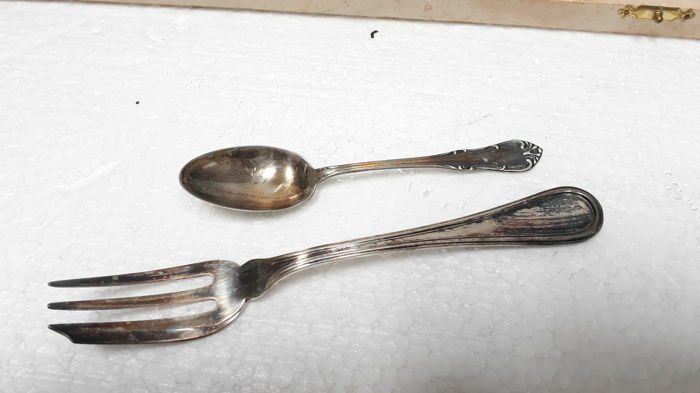 To be cleaned up. 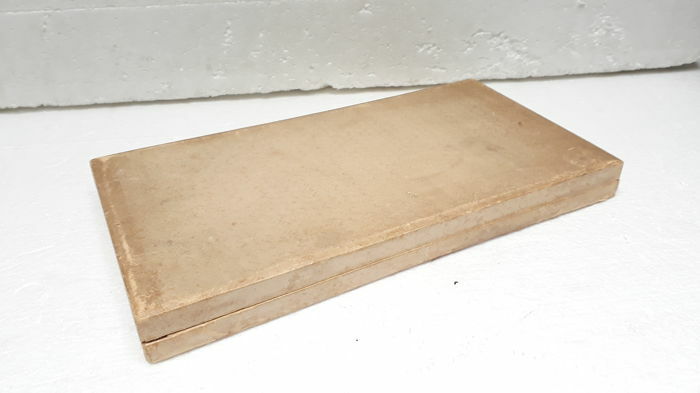 Worldwide express shipping via DHL courier.